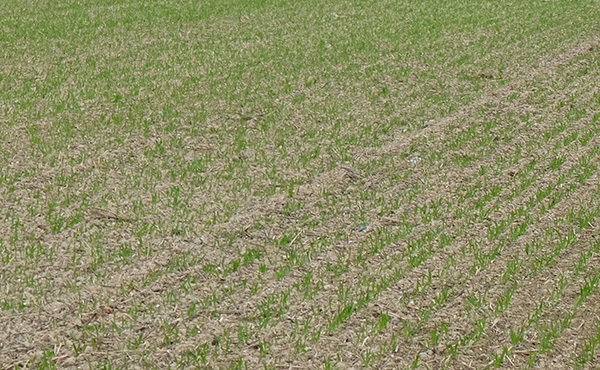 The process starts in early autumn when a field is selected that has had a break from cereal production. The Widgeon seed is sown relatively late as we don’t want it going into the winter too lush, and the seed rate is much lower than a conventional wheat crop. Apart from a herbicide, the wheat reed crop receives very little in the way of further sprays and certainly no nitrogen fertiliser. 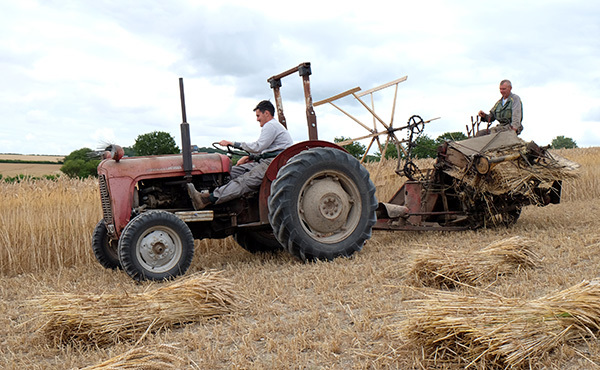 The ground is sufficiently fertile to produce a good crop without additional fertiliser and this would only reduce the longevity of the straw on the roof. By June the crop should be very tall and it is from now until harvest that we need to avoid any stormy weather so that the crop doesn’t get knocked down. Usually around the 20th of July the crop is ready to cut with the three binders we have available. These are all PTO driven McCormick International binders towed by small Massey and Fordson tractors. 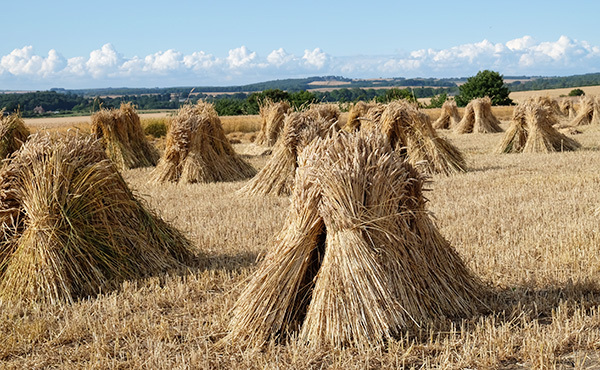 At this stage, although mature, the straw still has some green tissue and so once cut it is ‘stooked’ in groups of eight to let the sun and wind dry them thoroughly. The old adage is they should be left ‘stooked’ for two church bells (i.e. at least eight days) but this is always somewhat weather dependant. Of vital importance is that they are stored bone dry. 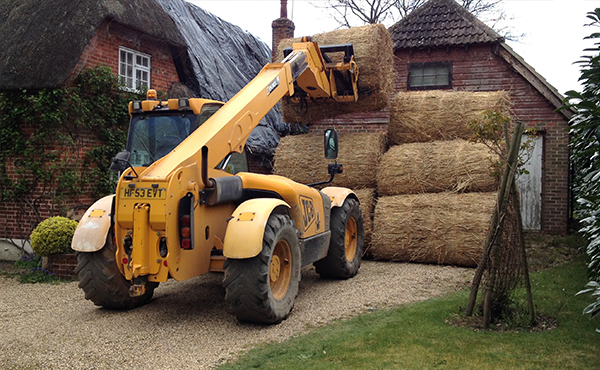 We use one of two methods to form a very low density bale consisting of approximately 80 sheaves that we can then handle with the farm’s JCB telehandlers. The bales are then stacked in the barn until we’re ready to comb the straw. The straw benefits further from a period of maturing in the barn and this means that the grain is readily thrashed out. We use our own Foster drum and comb the straw out between November and January when the other farm jobs are complete. The reed comes off the binder as a 14lb bundle that we then stack into a press to produce the 260kg bales containing approximately 40 bundles. We try to set straw aside as either ridging material or coat material but each season is different.